The authors sound an Amber Alert for the souls of America�s youth. They expose how the liberal Left seeks to brainwash our kids for their political gain. Movies, TV, music, court decisions, news reports and the education system are all corrupted by the Left to control the nation�s youth. 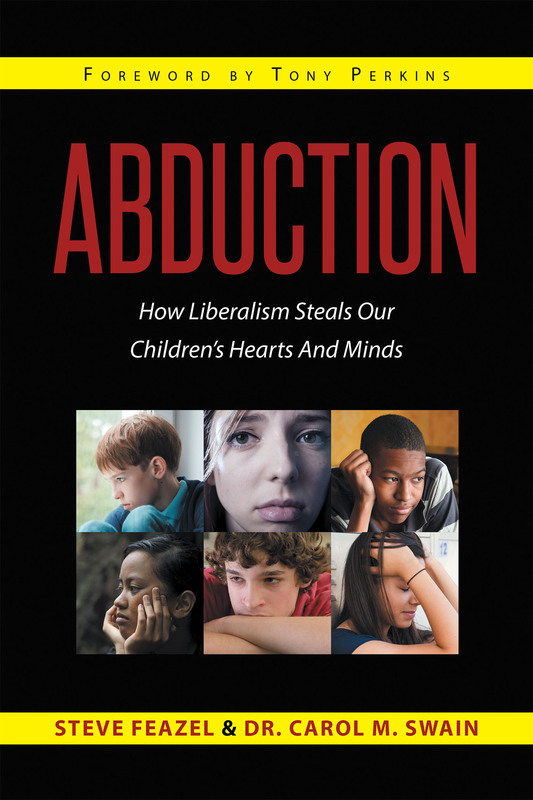 Parents, who seek to protect their children from the devious deception of a liberal agenda, will find this book to be a practical guide to push back against the Liberal efforts designed to reshape our kids� worldview and destroy their moral compass. Steve Feazel and Dr. Carol Swain ring a warning bell for all parents to heed who want their children to embrace and cherish traditional values and moral living that will allow them to live happy and productive lives. The book reveals the dangers of a relative morality while providing practical action steps that parents can take to prevent their children from becoming conformed to the secular pattern of the world. I thank God for Carol Swain. Very few people are willing to see, much less say what she and Steve Feazel say in this tremendously important book. It is disturbing, but it is true, so it is up to us to see it for ourselves and help others to do the same. Please spread the word. Everywhere we turn, from our schools, to Hollywood, to the media to the courts, children's minds and souls are being usurped by the radical secular Left. Carol Swain and Steve Feazel tackle the immoral architects of the "New Morality" in this trenchant and timely book--and show parents how to fight back. A national wakeup call sounding the alarm on how sinful forces are undermining timeless spiritual values which are so important to maintain to nurture the success of future generations. This unique book provides positive insight that if applied can push back against a culture that places too little value on morality. Dr. Carol Swain on Huckabee Live!